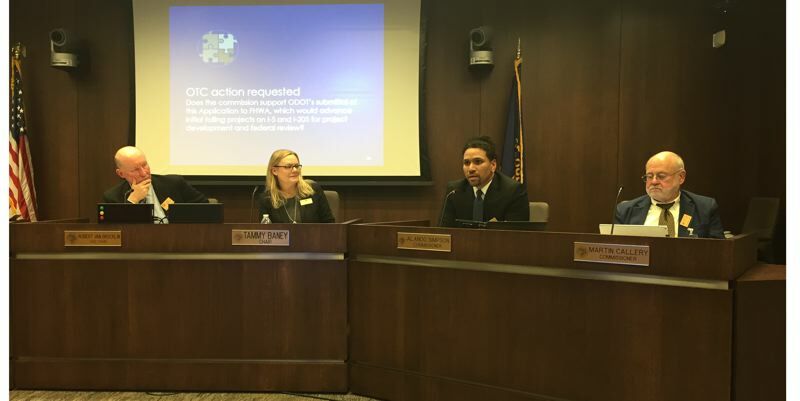 The Oregon Transportation Commission voted unanimously Thursday, Dec. 6, to seek federal approval to toll two segments of Portland's longest and most-used freeways, but motorists wouldn't see such tolls for years. The state is applying to collect tolls on all lanes along seven miles of Interstate 5 through the center of Portland and all lanes of Interstate 205 as motorists cross the Abernethy Bridge between Oregon City and West Linn. "I really want to make sure folks understand that this is going to be a process that is going to be years," said Tammy Baney, transportation commission chair. "For some ... that is not fast enough, it's not aggressive enough, and it won't meet the need, but for some, it may be too fast, too aggressive, and there still are concerns." Officials said they the tolls are intended to pay for road projects that expand capacity while encouraging commuters to use other transportation. Transportation commissioners acknowledged that the tolls would affect low-income drivers and say they are considering ways to mitigate the cost through more transit options and subsidies. "People are concerned they are going to wake up tomorrow, and all of a sudden, the roads are going to have a cost to them to be able to get to work," Baney said. "We don't have the transit options that would make it convenient and reliable for individuals to be able to get off the (single-occupancy vehicle) system. We know that. There is the concern also about diversion into communities and what that might mean, too. This commission takes it very seriously that those questions are still out there and need to be answered." The triangle of freeways around Portland — Interstates 5, 205 and 84 — are the heaviest traveled roads in the Portland area. Traffic volumes on those freeways hover around 150,000 vehicles per day, according to the Oregon Department of Transportation. The state's application to the Federal Highway Administration doesn't describe the price of the tolls or when the tolls would be levied. The state hasn't decided those points. Motorists won't see the tolls for several years, said Travis Brouwer, ODOT assistant director. "We don't have a good timeframe yet, as we have years of planning and environmental review, followed by toll system implementation once we get federal go-ahead," Brouwer said. "The best we can probably say is sometime in the middle of the next decade." The tolls would vary, increasing during heavy traffic congestion and decrease at other times. Rather than toll booths, motorists would be charged through electronic tolling – transponders that register a charge and license plate identification technology to send bills to drivers without transponders. Tolling revenue would go toward a $500 million project to add a third lane in each direction on seven miles of I-205 from Oregon Highway 213 to the Stafford Road exit. The project also entails reconstruction of nine bridges, including the George Abernethy Bridge over the Willamette River, a common traffic bottleneck. 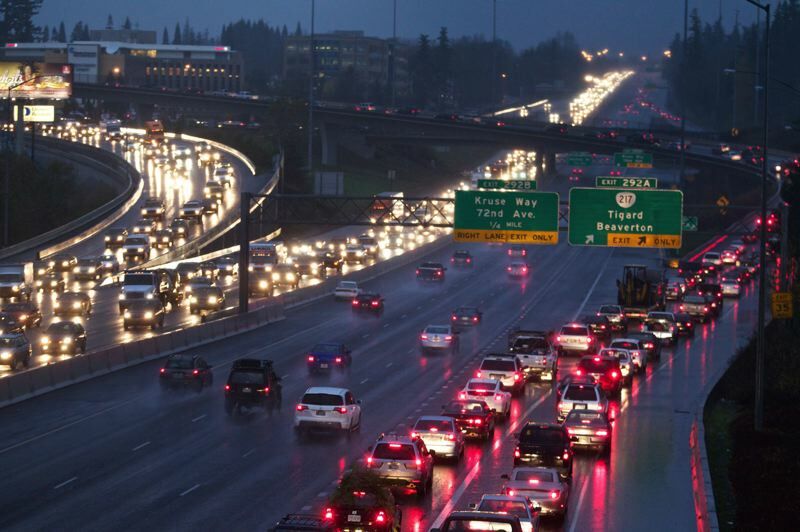 State authorities also want about $500 million in improvements in the I-5 Rose Quarter. That project entails building ramp-to-ramp auxiliary lanes and highway shoulders between Interstate 84 and Interstate 405. Auxiliary lanes connect from one interchange ramp to the next so that motorists can move between ramps without having to enter the freeway. The tolls would stretch from North Going Street south to Southwest Multnomah Boulevard on I-5 and on the Abernethy Bridge, which connects Oregon City and West Linn. The proposal is part of a larger vision state officials have to eventually toll freeways in all of the Portland area. But tolling in Portland faces some obstacles. Peter DeFazio, Oregon's most senior congressperson who soon becomes chair of the House Transportation Committee, opposes Portland tolls. 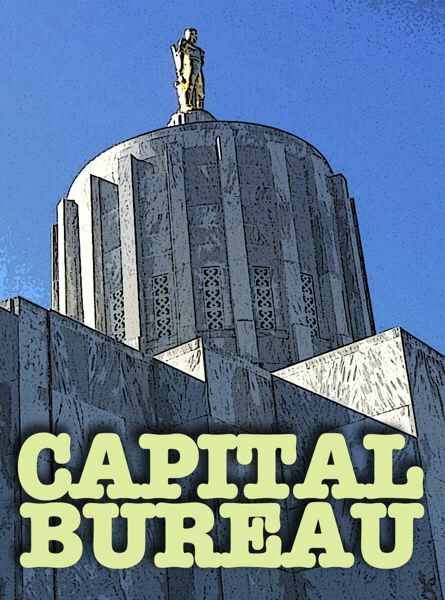 In August, DeFazio told the Corvallis Gazette Times editorial board: "Over my dead body." DeFazio's spokeswoman, Jen Adler, didn't immediately respond to an email Dec. 6 for comment. Meanwhile, state Rep. Mike Nearman, state Rep. Julie Parrish, and Gladstone Planning Commissioner Les Poole are seeking a ballot measure for 2020 that would require voter approval to places tolls on existing freeways.